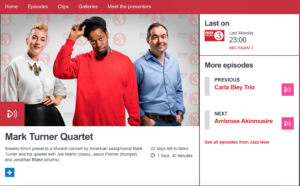 I was kindly invited to be interviewed on Radio 3’s Jazz Now programme a few weeks back. Emma Smith asked me some questions about influences, my album with Michael Kanan and our forthcoming tour, as well as playing a few tracks. 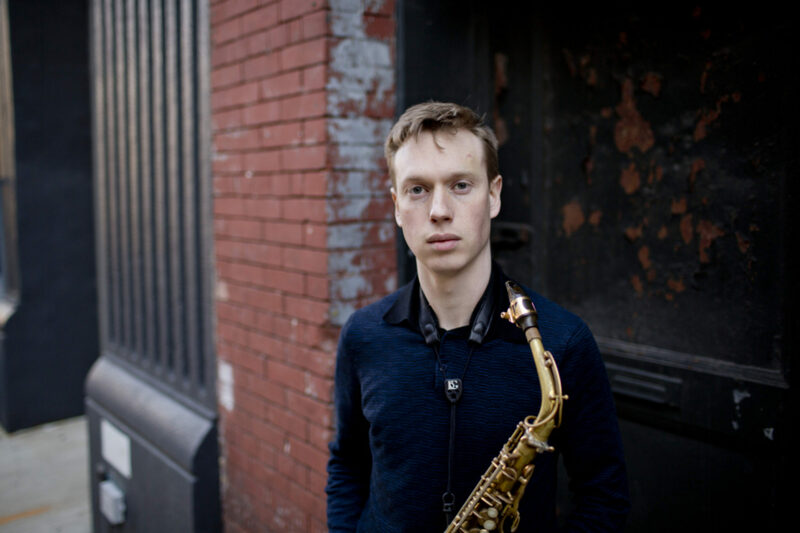 You can listen to the whole show, which also features a broadcast of a Mark Turner Quartet gig and an interview with Ambrose Akinmusire, but it requires a login and is only available for a limited time. (I’m at 1.02:36) Or you can listen to my interview segment on YouTube here.